It’s very rare that I go to a concert and leave speechless. 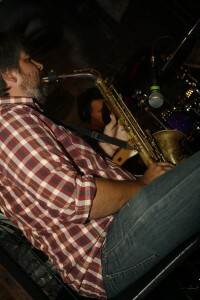 The recent Nicolay (one half of Foreign Exchange) and The Hot At Nights session left a very lasting impression. I can hardly describe just how good the music they performed felt. I was nodding my head, dancing in my seat and smiling hard throughout their performance. This night was all about the music, the good vibes; a night purely for music lovers. Now there was no elaborate set, pyrotechnics or even any singers, there were four extremely talented musicians. That’s correct it was a performance of instrumentals! Nicolay (synth/keyboards), Matt Douglas (saxophone/woodwinds), Chris Boerner (8-string guitar) and Nick Baglio (drums), walked on stage, as if they were invited up at an open mic. They sat down at their particular instrument, Nicolay did a brief intro and they dived straight into the music. I should have asked for a set list, but the second track they performed was BANANAS! I honestly think I got whiplash from nodding my head so profusely! The instrumentation on that track was incredible and flawless. It was definitely that feel good music, the type that makes you close your eyes and meditate on the vibes. I was once again in a zone, enjoying every musical note and eager for more. 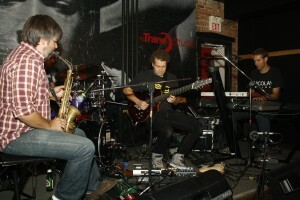 The next track was off of the collaborative album between Nicolay and Raleigh, North Carolina-based jazz trio The Hot At Nights, The Shibuya Session EP, “The Inner Garden”, which just further engaged the audience. At this time, Nicolay decided to treat us to a revised version of Foreign Exchange’s “Happiness” off their 2004 album Connected. What a beautiful revision to an already classic track, most enjoyable. The track “Bullet Train” was quick, literally the speed of a bullet, nonetheless one of the most appealing tracks they performed. Nicolay took a few minutes to introduce each artist on stage and familiarize us with their backgrounds. It was interesting to learn that guitar player, Chris Boerner, is the official guitarist for Foreign Exchange, he mixed Phonte’s Charity Starts at Home, and has also done guitar for FE’s Leave It All Behind and Authenticity. 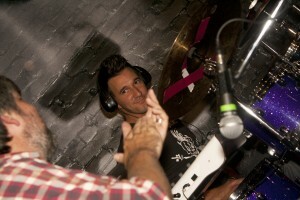 Chris then introduced Nicolay as a cross between Dirk Nowitski and a tall Christian Bale…lol! As much as there were no singers for this set, they had no issues maintaining everyone’s full attention. I didn’t once move from where I was seated and stayed dancing in my seat. 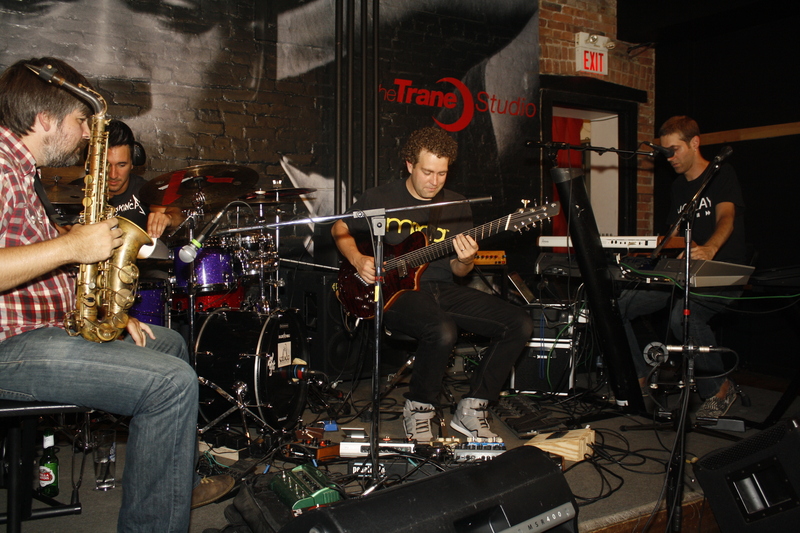 Trane Studios provided the perfect setting and ambience for a very intimate showcase. They ended their set with another Foreign Exchange revision for “Sweeter Than You” off of the 2008 album Leave It All Behind. And again they masterfully remixed this classic. They announced that they would be doing a second set at 9:30pm which I decided to stay and witness. I was so enthralled with the first performance that I had to stay for the second session. For those that left and missed the second session, this set was more of a treat for true Foreign Exchange fans! They opened their set with a track off FE’s Authenticity “Eyes to the Sky” and then went right into “House of Cards” from Leave It All Behind. I can’t describe the excitement and when they performed a few more FE bangers before going into some of the material from Shibuya Session EP that they performed earlier. Again, they managed to maintain the same intimacy as in the earlier show and really engaged the audience. I have never seen the Foreign Exchange collective live, but I am going to make an effort to catch them in the near future. I was definitely impressed with Nicolay’s performance with The Hot At Nights and look forward to hearing more from them. 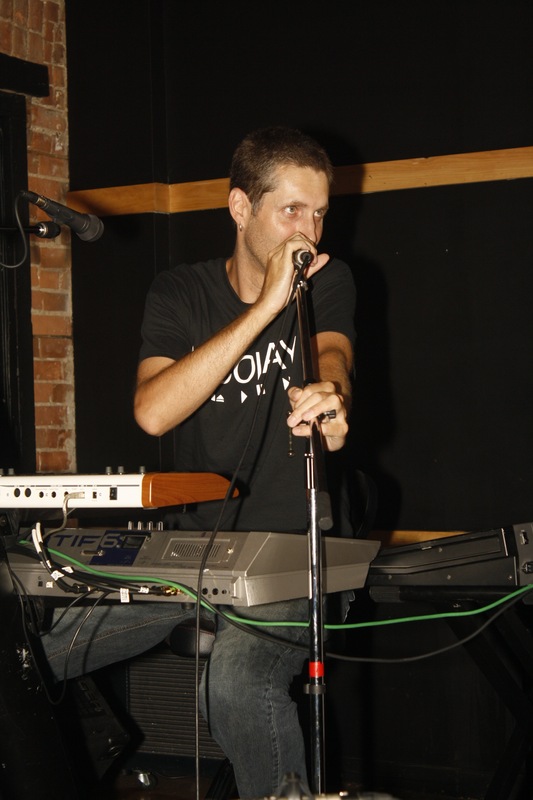 Please take a minute to read our one-on-one interview with Nicolay and BP’s A. Harmony, where he talks about the Shibuya Session EP, The Hot At Nights and what’s next for Foreign Exchange. Don’t forget to check them out in a city near you…check the Foreign Exchange website for listings. 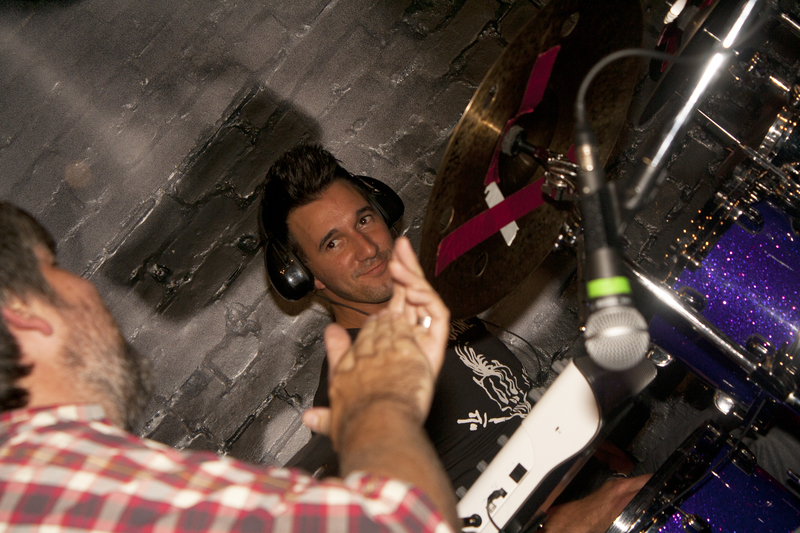 Special thanks to Aimee Flint of The Foreign Exchange Music.